Elite Transducers is one of the UK's leading manufacturers of Load Cells, now certified to ISO9001:2015. 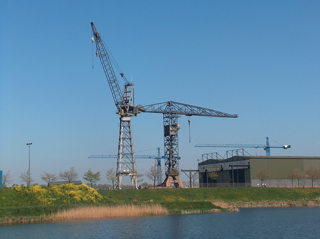 Our products are supplied for a variety of industrial applications, including: Crane Safety, Agricultural, Marine and the Construction industry. Over 23 years trading and experience in the global weighing and force measurement industry means we can deliver your business a product and service second to none. We offer a comprehensive range of pre built off the shelf measurement solutions, as well as a custom design and manufacture service. Our bespoke service allows a load cell system to be designed and manufactured by our skilled team to exact criteria specified by the customer, while still remaining highly competitive on price. Elite can offer products suitable for intrinsically safe applications with Atex/IECEx approval to Ex ia IIC T6, Ex tb IIIC Db T85C and Ex nA IIC T6 Gc in place. We can also offer products suitable for incorporation in a Safety Integrity Level 2 system, together with the necessary documentation required. The main factory of Elite Transducers Ltd is based in the South-East of the UK. This facility includes a dedicated strain gauging service alongside a comprehensive calibration suite, which can deliver up to 200 tonne under safe test conditions and features environmental testing chambers for enhanced product accuracy. A trained team of technicians means that every product is manufactured and tested to the highest standard. Whatever your application, you can be sure that Elite Transducers Ltd are the right partner for quality, accuracy and service. To find out how our measurement systems can benefit your business please contact our Aldermaston office today.